I’ve been relocated to a different state for my job. It will be a good move for us but there are so many things I have to start over. New doctor, new dentist, new internet…Can’t forget wifi. Are there some tips to finding out who is one of the bests dentists in an area? Moves are stressful! It’s fantastic that you’re already looking into your oral healthcare. Too many people neglect that in a move then end up with a dental emergency. It would be nice if there were some objective way to know who the best dentist is in a particular area. While there is not, I can give you some pointers to help you find a dentist who’ll be right for you. The first thing to think about is what type of services you want. Do you just need bread and butter dentistry with cleanings, checkups, and the occasional filling? Do you have complicated neuromuscular issues, like TMJ? 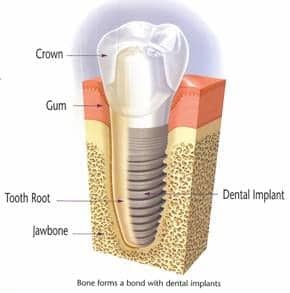 Are you missing teeth and need an advanced procedure such as dental implants? Do you prefer a dentist who offers great cosmetic services? Once you’ve answered these questions you have a great starting point. Let’s say you just need a bread and butter dentist. The first thing I’d do is an internet search for dentists in your area. From there, look at their website. Is it professional looking? Do they offer the right services? Read up on the dentist. He or she should have a bio of sorts on their webpage. If you’re getting a good feeling about what you’ve seen so far the next step is to check their reviews. Most people only write reviews if they’ve had really great or really awful experiences. Either one will give you a decent idea of what type of service and skill you can expect from the dentist. But what if you want cosmetic services? A nice decent family dentist likely won’t be suitable. Cosmetic dentistry isn’t a recognized specialty. They’re just general dentists who offer those procedures. While things like teeth whitening don’t require too much specialized knowledge, if you’re looking for a total smile makeover like you’d get with porcelain veneers you need someone with expertise. Cosmetic work is an art. So be certain to check out their smile gallery to see what kind of results they get. However, the simplest way to find a great cosmetic dentist is to go to the mynewsmile.com website. They have a link where you can put in your zip-code and how far you’re willing to travel. They’ll recommend the best cosmetic dentists within that radius. Best of luck to you in your move.